In 2018, Audemars Piguet will be celebrating the 25th anniversary of the Royal Oak Offshore, which first launched in 1993. For its PRE-SIHH event, the Swiss watchmaker is delighted to present three new versions of the iconic sports watch: a re-edition of the original Royal Oak Offshore Selfwinding Chronograph, as well as a brand new Royal Oak Offshore Tourbillon Chronograph with a contemporary dial design developed in two versions. 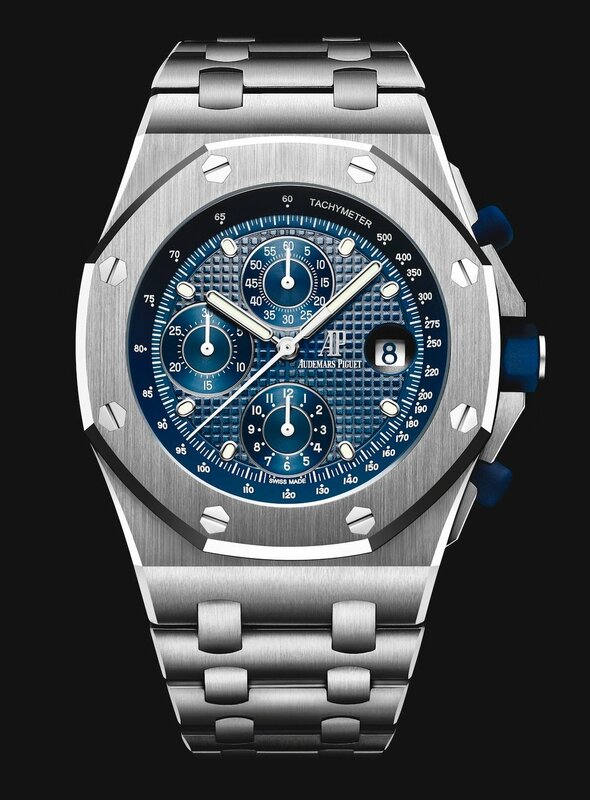 After the introduction of the original Royal Oak Offshore in 1993, more than 120 references of this 42 mm model have been launched in various materials such as stainless steel, titanium, gold and platinum. This year, further to the re-edition of the original Royal Oak Offshore, Audemars Piguet introduces a new special series available in either stainless steel or 18-carat pink gold, each one limited to 50 pieces. These two models are inspired by the previous Royal Oak Offshore Tourbillon Chronograph (26388PO & 26288OR), with an entirely redesigned movement, developed exclusively to celebrate the 25th anniversary of the Royal Oak Offshore collection. Featuring the combination of materials that is often presented on Royal Oak Offshore models, the crown and pushpieces are now crafted in ceramic instead of metal and rubber. The new Royal Oak Offshore Tourbillon Chronograph also presents a brand new dial constructed as a true piece of contemporary architecture, which demonstrates the bold approach that Audemars Piguet has always sought to convey through the aesthetics of its Offshore collection, while always being true to its DNA.